Peter Capaldi’s Doctor swings into his second year of adventures, ably joined by Jenna Coleman as Clara and a cavalcade of brand new guest stars including Steven Robertson (Luther, Being Human), Zaqi Ismail (Four Lions), David Schofield (Pirates of the Caribbean), Rufus Hound (Cucumber) and Maisie Williams (Game of Thrones). 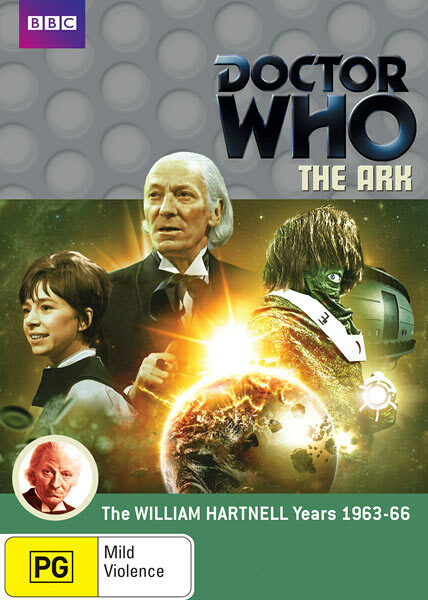 Collecting the first half-dozen episode of Series 9, this release features the return of the Daleks, Davros, Missy, UNIT, the Tivolians and the base-under-siege format, as well as introducing the immortal Ashildr. Capaldi has hit his stride with this batch of episodes, his character now less abrasive than before but still retaining that air of unpredictability that makes his portrayal so thrilling. This DVD release also contains a suite of behind-the-scenes featurettes. Capaldi has hit his stride with this batch of episodes, his character now less abrasive than before but still retaining that air of unpredictability that makes his portrayal so thrilling. 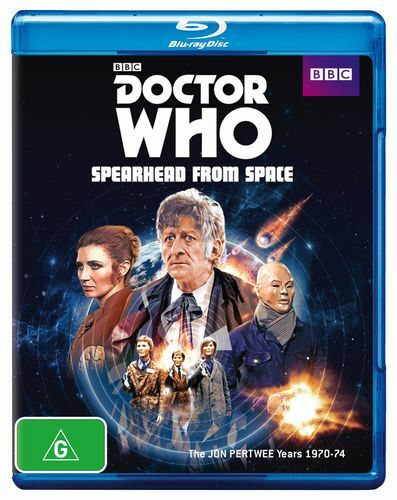 This Blu-Ray release contains a suite of behind-the-scenes featurettes, plus the added bonus of full HD content (ABC broadcasts having been SD only). After a series of nerve-wracking adventures, the Twelfth Doctor (Peter Capaldi) loses Clara (Jenna Coleman) and begins the long journey to find those responsible– and the Doctor will go to the end of the universe to bring her back. There will be sand monsters, a castle of torture and a world hidden amongst the streets of London, so hang on to yourself – it’s going to be a wild ride. It’s the perfect time to reacquaint yourself with this thoroughly good batch of episodes, including the phenomenal one-hander Heaven Sent and the gripping finale Hell Bent. This limited edition release includes all six episodes in high definition, a host of special features offering a behind-the-scenes look at the series, plus bonus collector cards and poster. 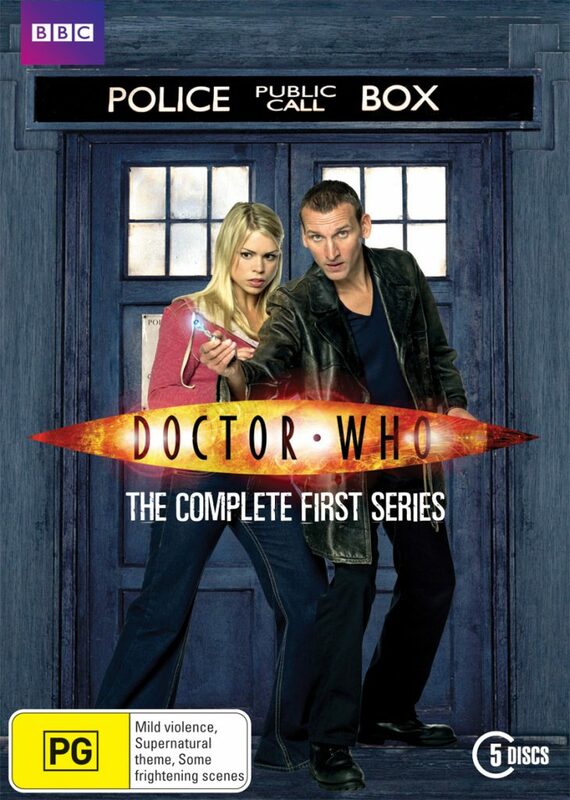 A box set containing all 13 stories from the 2005 series of Doctor Who, starring Christopher Eccleston and Billie Piper. 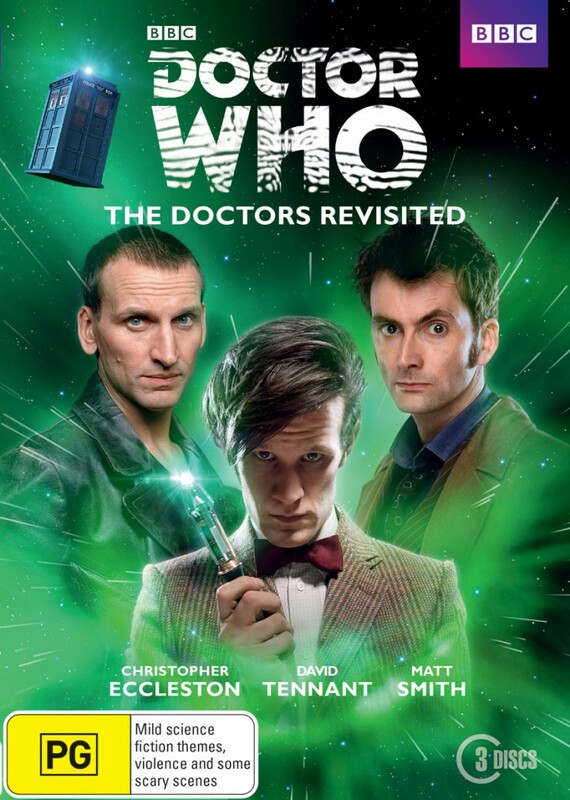 Special features include: Doctor Who Confidential, commentary, interviews, a look behind the scenes and more. 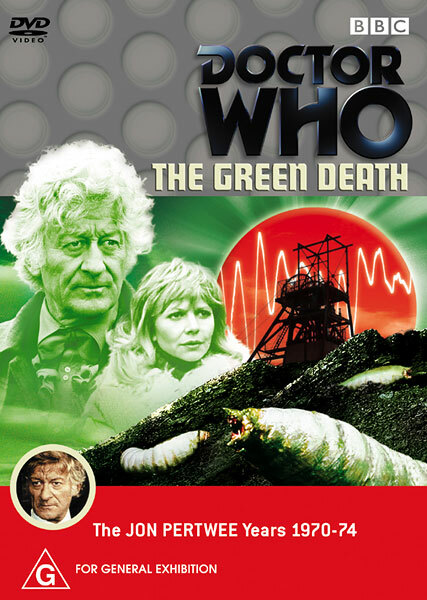 Special features include: commentary, interviews with Fourth Doctor actor Tom Baker and director Christopher Barry, visual effects crew discuss the problems faced in building and operating Erato, extended scene, photo gallery, digitally remastered picture and sound quality, Radio Times listing (PDF), production information subtitles. This upgraded DVD release features improved digital remastering and added bonus features. Special features include: two lots of commentary, interviews, a look back at the making of the story, a spoof investigative report looks at the strange happenings in the village of Llanfairfach, two pieces from the BBC Wales news programme, an interview with Russell T Davies and Jane Tranter about Doctor Who’s rebirth on television in 2005, a look at Serendipity, the TV series that Katy Manning presented after leaving Doctor Who, The Sarah Jane Adventures: Death of the Doctor (featuring optional commentary), Radio Times listings (PDF), photo gallery, Easter eggs, programme subtitles, production information subtitles. Professor Keller has created a machine that can pacify even the most dangerous of criminals. 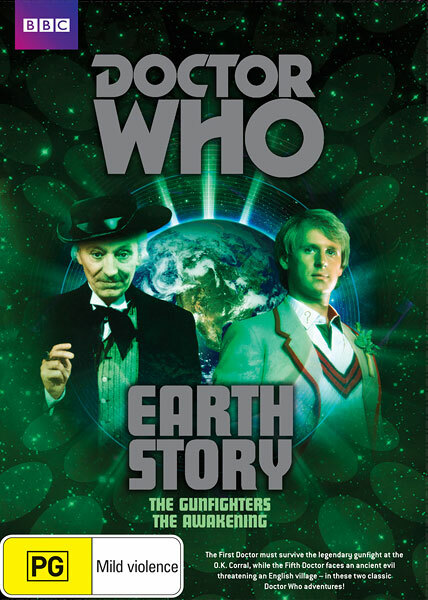 But when the Doctor and Jo arrive at Stangmoor Prison for a demonstration, things start to go horribly wrong – especially when they discover that the Doctor’s old enemy the Master is responsible for the machine. What could he possibly want from the criminals? And what connects him with an impending World Peace Conference? Special features include: commentary, behind-the-scenes interviews, a look back at the filming locations used in the story, a visit to the BBC Television Centre, photo gallery, programme subtitles, subtitle production notes, Radio Times Listings (PDF), 1971 Kellog’s Sugar Smacks promotion (PDF). The Time Lords have banished the newly regenerated Doctor to Earth. But the Doctor isn’t the only alien to have arrived, as a swarm of meteorites have crashed into the sleepy English countryside, bringing with them a terrible new threat to mankind. As the Nestene plan takes shape, UNIT, the Doctor and his newly appointed scientific advisor, Liz Shaw, race against time to stop humanity from being replaced by a terrifying plastic facsimile race. 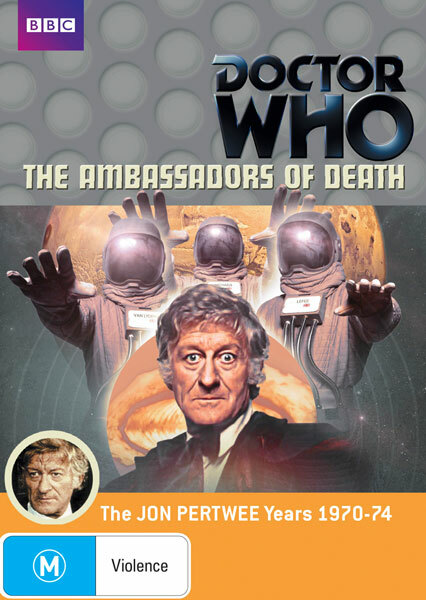 Special features Include: an exclusive documentary looking at the life and career of Jon Pertwee, a tribute to the late Caroline John, title sequence raw material, restoration comparison, reversible cover, programme subtitles. Special features include: commentary, interviews. a featurette about director Peter Moffatt, a trip through BBC Television Centre, a look at the work of those who kept Doctor Who alive in the form of audio adventures, photo gallery, isolated music, extended and deleted scenes. This two-disc release features animated versions of the missing episodes 2 and 3. 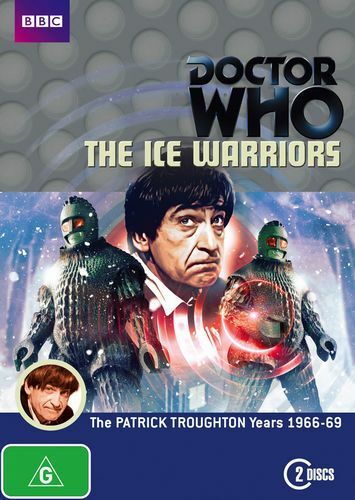 Special features include: commentary, a look back at the making of the story and the animated episodes, an interview with Frazer Hines, the competition launch and subsequent winners of Blue Peter’s 1967 Design-a-Monster competition. VHS links, programme subtitles, subtitle production notes, photo gallery, Radio Times listing (PDF). Special features include: digitally remastered picture and sound quality, commentary, interviews, a spoof investigative report looking at the strange happenings in the village of Llanfairfach, photo gallery, production information subtitles. The TARDIS arrives some ten million years in the future on a giant spaceship carrying all the Earth’s surviving plant, animal and human life (much of it miniaturised and in suspended animation) on a 700 year voyage to a new home on the planet Refusis II. Dodo is suffering from a cold – an unknown affliction in this era – and as the human Guardians of the ship and their servant race the Monoids have no resistance, a plague breaks out. Special features include: commentary, a look at the influence of H.G. Wells on the Doctor’s adventures, an examination of what gives certain monsters enduring popularity, a trip back to Riverside Studios for Peter Purves, photo gallery. When all communication is lost from Mars Probe 7 after it begins its trip back to Earth, a second craft is launched to investigate. As Recovery 7 docks in space, it too loses all communication. The Doctor and UNIT are given the task of investigating the mystery as Recovery 7 returns to Earth. It appears that no one can be trusted, as the space capsule is hijacked from its UNIT convoy with military precision. What has happened to the missing astronauts? Could this be a secret invasion from Mars – or is the enemy much closer to home? 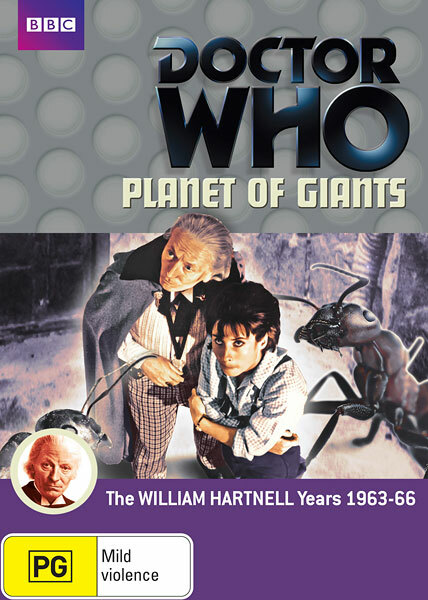 Special features include: commentary, a reconstruction of the original third and fourth episodes (edited into a single episode for transmission) and a look at how it was done, an interview with Carole Ann Ford about her role as the Doctor’s granddaughter, original producer Verity Lambert looks back on her time on the series, subtitle production notes, photo gallery, Radio Times listings (PDF), prop design plans (PDF). Inferno is the name of a project designed to drill into the Earth’s core and release a powerful energy source called Stahlman’s Gas; what’s yielded instead is an insidious substance that transforms men into monsters. 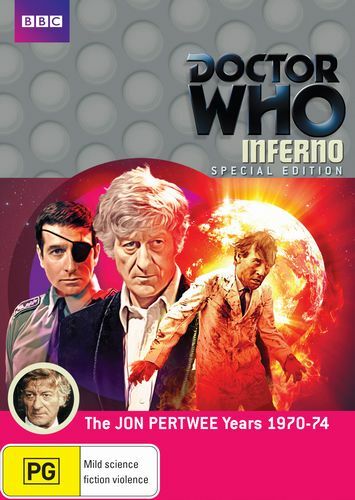 The resulting chaos interrupts the Doctor’s travel in the TARDIS and knocks him into an alternate Earth run by a military dictatorship, and where Project Inferno’s progress threatens to bring about an apocalypse. Special features include: commentary, programme subtitles, behind-the -scenes interviews, Toby Hadoke vs the HAVOC stunt team, a look at the various attempts to bring Doctor Who back between 1989 and 2005, a featurette looking at the Earthbound Doctor’s ‘family’ during his exile to Earth, a visual effects promo film, a deleted scene, a short introduction to the story’s final episode from Jon Pertwee, photo gallery, 1971 Doctor Who Annual (PDF), Radio Times listings (PDF), programme subtitles, subtitle production notes. Special features include: commentary, a look at the tumultuous third year of Doctor Who, interviews, location comparisons, extended and deleted scenes, location action from film rushes, photo galleries, isolated music, subtitle production notes, Radio Times listing (PDF). This set showcases Doctor Who’s Ninth to Eleventh Doctors: Christopher Eccleston, David Tennant and Matt Smith, spanning from 2005-2013. There is a half-hour profile special for each Doctor, with reflections from Doctor Who figures past and present, followed by a classic story for each Doctor: Bad Wolf/The Parting of the Ways, The Stolen Earth/Journey’s End and The Impossible Astronaut/Day of the Moon. 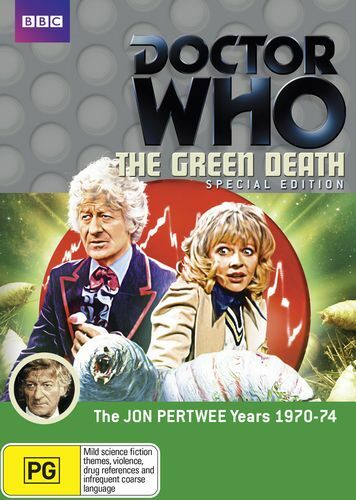 When a damaged spaceship containing beautiful humanoid creatures called Axons lands on Earth, the Doctor, Jo and UNIT are sent to investigate. The Axons offer the gift of Axonite, which would end world famine – but what secrets are the Axons hiding on board their ship? And why is the Doctor’s old enemy the Master involved? 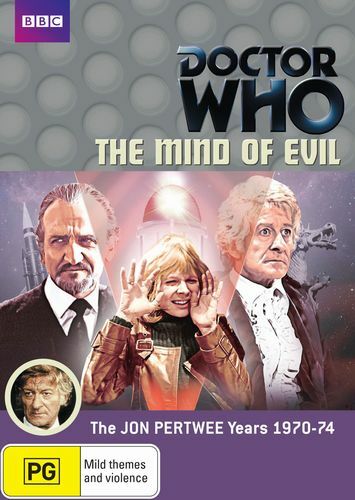 Special features include: commentary, a look back at the making of the story, a look at the locations used, an interview with director Michael Ferguson, the entirety of the earliest surviving Doctor Who studio recording, a weekend with actor John Levene, deleted and extended scenes, photo gallery, subtitle production notes, Radio Times listings (PDF).